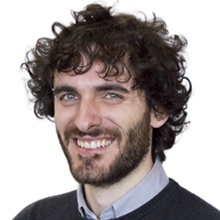 Marco Galardini (webpage, Gscholar, twitter, EMBL-EBI page), a postdoc in the group, is the next member that kindly volunteered to write a group profile page. He is currently one of the few people in the group that is not working directly with protein PTM regulation but is looking instead more generally at the consequences of mutations on cellular growth phenotypes. I like to think of my career so far as a simulated annealing process, where the temperature parameter is substituted by curiosity. I started by studying applied chemistry in high school; we had to spend lots of time in the lab and we got plenty of opportunities to get our hands dirty with both inorganic and organic chemistry. The latter is probably the reason why I then pursued a bachelor degree in biotechnology at the university of Florence, with a focus on industrial and environmental processes; during that time I also got interested in microbiology, mostly by the great diversity and versatility of the bacterial kingdom. 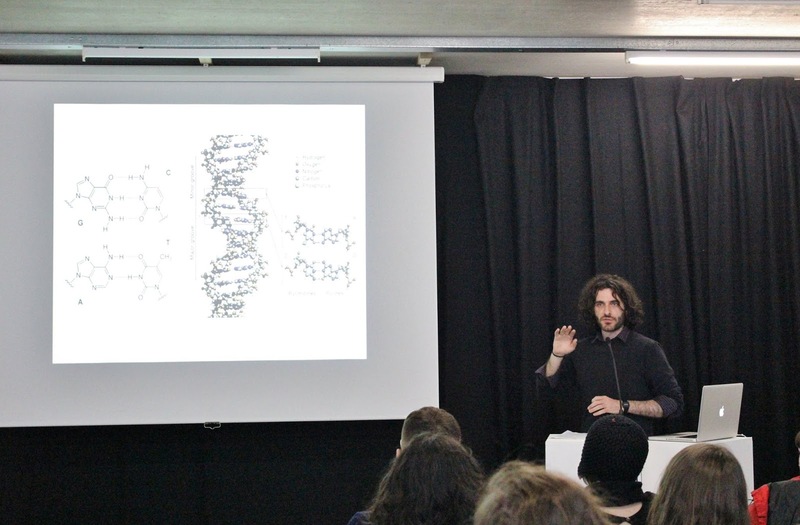 When I discovered that the University of Bologna was offering a masters degree in Bioinformatics I jumped into it with great enthusiasm, eventually combining it with the interest in microbiology during an internship at the Nijmegen university. After a short break as a software developer in a company I started a PhD in Florence, carrying on a comparative genomics study in the nitrogen-fixing plant symbiont Sinorhizobium meliloti (PhD thesis). Since this project combined computational biology, microbiology and the impact on the environment, I can say that it succeeded in combining the various academic interests I had developed during the years. Following the simulated annealing analogy I can say that I sometimes felt like I was in a local optima. 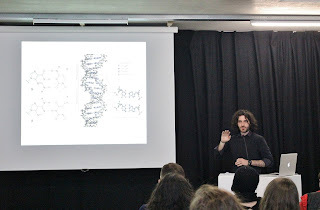 Under the supervision of Marco Bazzicalupo, Emanuele Biondi and Alessio Mengoni (lab page) I was lucky enough to ride the wave of genomics in a moment where getting bacterial genomes was becoming increasingly easy; I was therefore able to describe the interesting functional and evolutionary features of the (relatively) complex genome of S. meliloti, while developing some computational methods on the side. to predict phenotypes for the Escherichia coli species, in close collaboration with Nassos Typas (EMBL). Bacterial species are known to harbor striking genetic variability between strains, both in the form of point mutations, but also with respect to their gene content (the so-called pangenome), due to recombination and lateral gene trasfer. Understanding how this variability translates to differences in phenotypes has been therefore the focus of this project. This has proven to be both a challenging and valuable experience, as we had to build a strain collection from scratch, phenotype it on different growth conditions and sequence a large fraction of those strains. For this I owe a great deal of gratitude to various members of the Typas group who have helped me out in running the wet-lab experiments, namely Lucia Herrera and Anja Telzerow. I am now in the process of testing the predictive models, who have proven to show very promising results, with potential applications to other species, in and outside the bacterial kingdom. Despite the common claim that no great discoveries are made anymore, I think that science is moving faster and getting bigger every day; if we want to be optimistic it should only be a matter of time before this will start to have an impact on our everyday lives. Some examples involving microbiology include real-time tracking of infectious diseases (e.g. WGSA, or NextFlu) and microbial communities as environmental sensors (e.g. Smith et al. mBio 2015). I'm therefore very excited to see how the lag time between a discovery and its application shrinks; there are legitimate concerns of course (e.g. laws not catching up, democratization of new technologies), but I can't help being thrilled about it. I also enjoy reading about how human activities are becoming a new powerful selective pressure in evolution; antibiotic resistance is the best known example, but there are also positive examples like the reports of bacterial species evolving the ability to degrade plastic. This shows that the natural world is still worth exploring and that evolution can also act on very short time-scale. such as black and white films and polaroids; despite not being very active right now, I'm still packing my camera when going for a short trip. I also have an interest in small DIY projects involving music; I have built some experimental synths running on Arduino, which were used in a band I used to play in. Apart from that, I enjoy reading and watching movies, going to contemporary art exhibitions, and a bit of cycling.